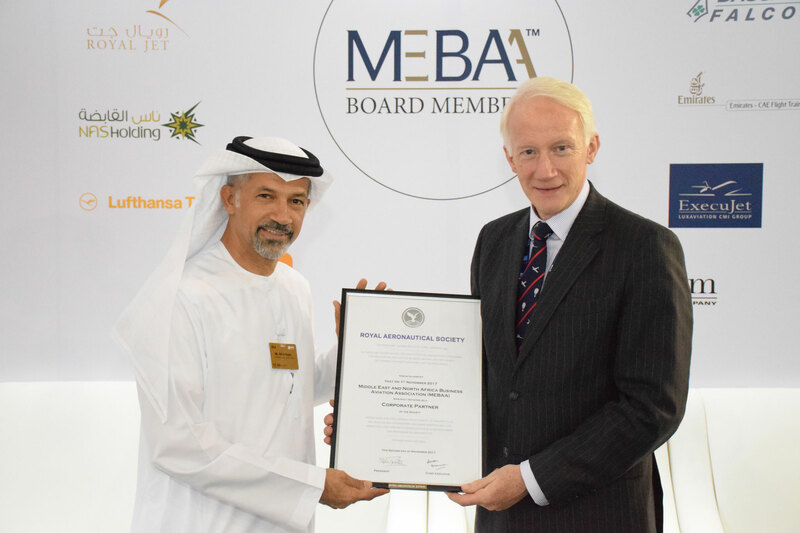 At this week's Dubai Airshow, the Middle East and North Africa Business Aviation Association (MEBAA) and Royal Aeronautical Society (RAeS) became partners and exchanged membership certificates. “I am pleased to exchange membership with Royal Aeronautical Society and to confirm our commitment to the business aviation industry,” said Ali Alnaqbi, founding and executive chairman, MEBAA. Alnaqbi exchanged certificates with current RAeS president, Sir Stephen Dalton.